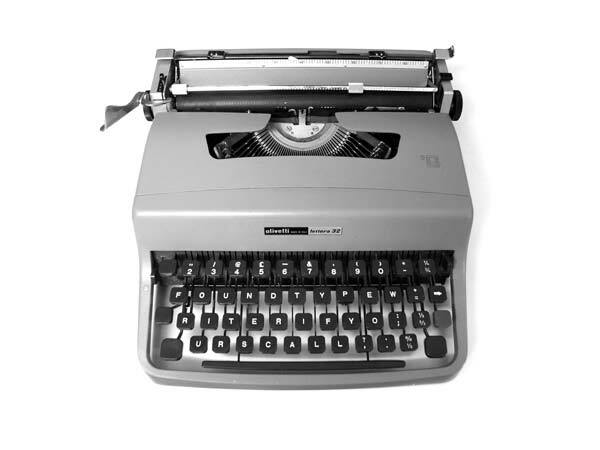 An Olivetti 32 typewriter was found left on a set of steps in the centre of Bristol. Believing it to have been accidentally abandoned by an absent minded owner I took it upon myself to intervene. Over the ensuing months I hunted for other Olivetti 32 typewriters. I searched car boot sales, charity shops and junk shops and not long after I had enough typewriters to provide me with the letters needed. I then set about swapping the various keys in order that the keys spelt out the message 'FOUND TYPEWRITER IF YOURS CALL'. It was photographed and a postcard then made that was distributed around various venues across the city. Like the wing mirror interventions, no telephone number was provided.